Treasures My Husband Hates: A Burst - Starburst that is! A Burst - Starburst that is! Friday last week, after being in a funk for a week, I thought I should stop by my old stand-by Salvation Army. Have you noticed I like it there? Anyways I loaded THM up in the car at about 8am and we were on our way. We got in the store, saw AFC (our very Awesome Friendly Cashier, I will keep her name confidential) and said "hi". Them saw the manager and said "hi". He knows us too. I immediately walked over to the collectables where they always place the Pyrex. I scanned. Went to turn the corner and BAM! Yup I told THM "hold this and say cheese!" Had to have a picture of the moment I got it. Marked $12.50. My head was like "YOU GOT A COUPON TOO! YOU GOT A COUPON TOO!" I even said to AFC, "I got a coupon too!!!!" AFC laughed at me. She knew the excitement was my crazy self. Then after I calmed down a second I spotted a barbed wire. I only had one coupon. I was fine with that, I will use it on the barbed wire since it was more (marked $15, ugg, but it had a lid). Sweet, I don't have that one yet. Then THM spotted a Gemco "Country Festival" creamer. Yes he has good taste beacuse he asked for it. Sure kid! I happily ran off, got a cart (pyrex in hand of course. I am not putting those babies down) and we finished our shopping. 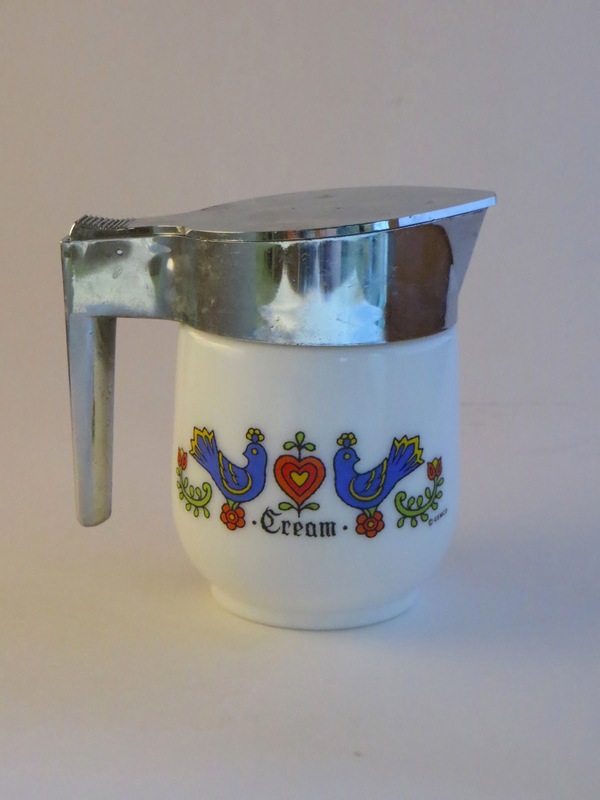 Making the creamer chomp. What a kid. I got to the counter and happily put my stuff on the counter. AFC, bless her heart, chit chatted with me and I showed her some pictures of my collection. She rang me up and I glanced at the receipt. Making sure my 40% was there. She wrapped up my new pretties and THM and I were on our way. I looked at the receipt more carefully in the car. AFC charged me $9 for the barbed wire. AND THEN ONLY CHARGED ME $9 FOR THE STARBURST! I think I love her. Next time we go in THM and I are going to bring her cookies and a little gift for her daughter who is THM's age. What a great freaking day. 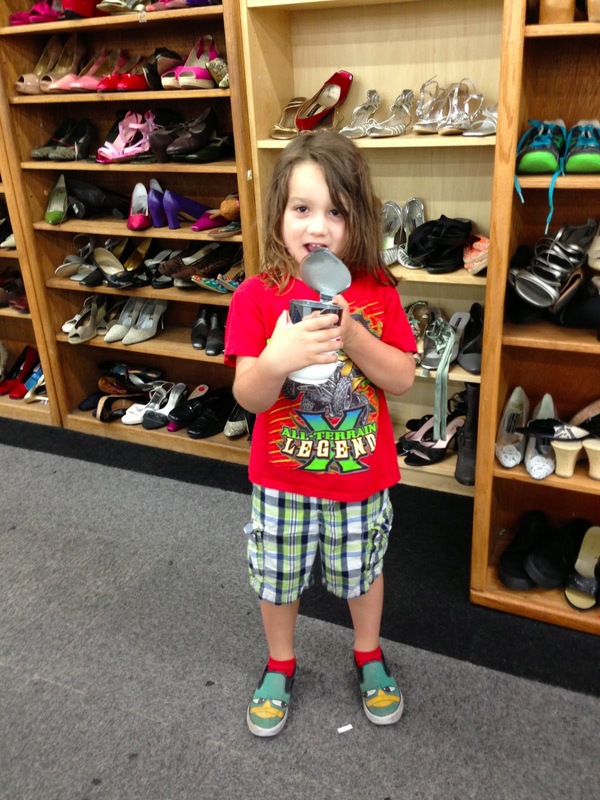 Congrats on the treasure hunt! You did GOOD!!! Congrats! You did it! Welcome to the starburst sisterhood! Hot damn! :D how exciting!!! LOVE LOVE LOVE the Starburst! 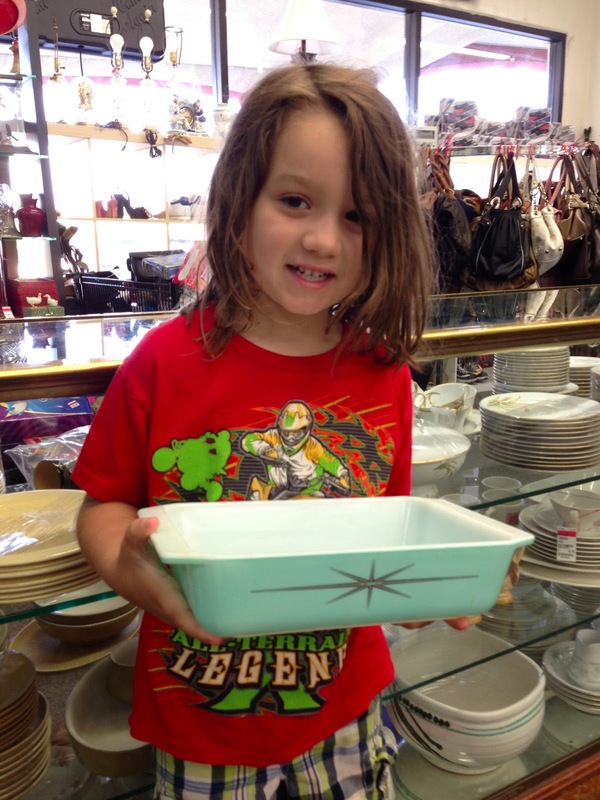 I'm reading your blog from Australia :) I am a Pyrex Hunter from Down Under, but I so wish we would find such gorgeous American Pyrex in our Op Shops (thrift stores!) I do have lots of Agee Pyrex tho, since that is way more common here. 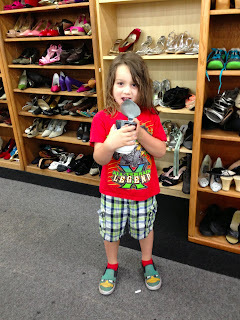 I have loved reading all about how you have found your collection!